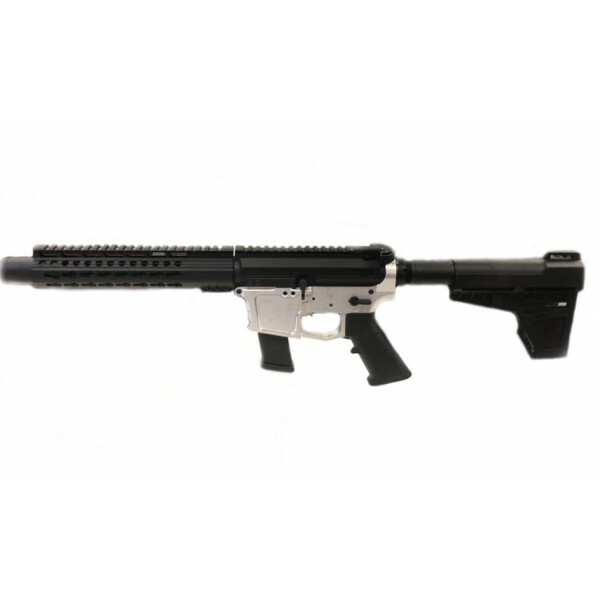 AR 10mm 8" LRBHO "SLICK SIDE" PREMIUM CONE KEYMOD PISTOL KIT IS BUILD ON A SLICK SIDE BILLET UPPER RECEIVER WITH LRBHO (LAST ROUND BOLT HOLD OPEN). KIT COMES WITH EVERYTHING YOU NEED TO COMPLETE YOUR 10mm BUILD EXCEPT LOWER RECEIVER, CAN BE PURCHASED SEPARATELY. 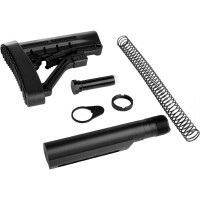 This kit is compatible with AR-45 Glock Style lower receiver. Compatible with Glock 20 Mags. BARREL - 8" 10MM MATCH GRADE AR BARREL. 4150 CROMOLY STEEL. BLACK NITRIDE FINISH. CHAMBERED IN 10MM. TWIST: 1:10. 5/8-24 MUZZLE BRAKE THREADS. BARREL IS FINISHED OFF WITH MICRO CONE COMPENSATOR. 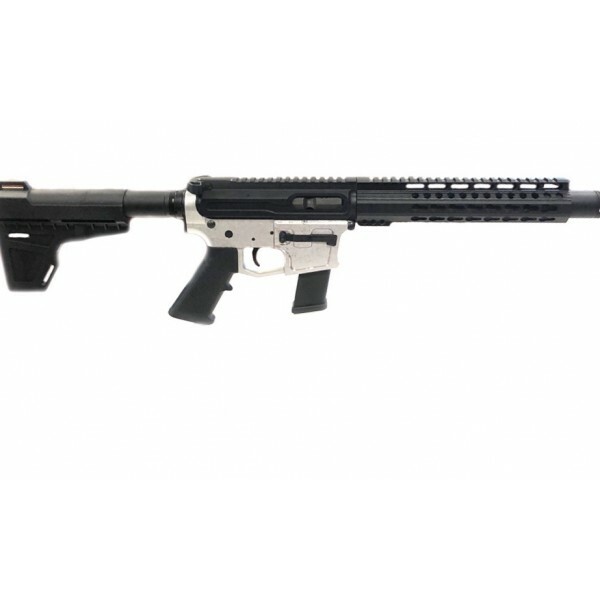 PISTOL CALIBER "SLICK SIDE" UPPER RECEIVER WITH LRBHO - MADE FROM CERTIFIED 7075-T6 AIRCRAFT BILLET ALUMINUM. BLACK HARDCOAT ANODIZED PER MIL 8625 TYPE 3 CLASS 2. COMPATIBLE WITH ALL STANDARD AR-15, AR-9, AR-45 MIL SPEC COMPONENTS. · LRBHO feature will work with our AR-45 Billet Lower Receivers. 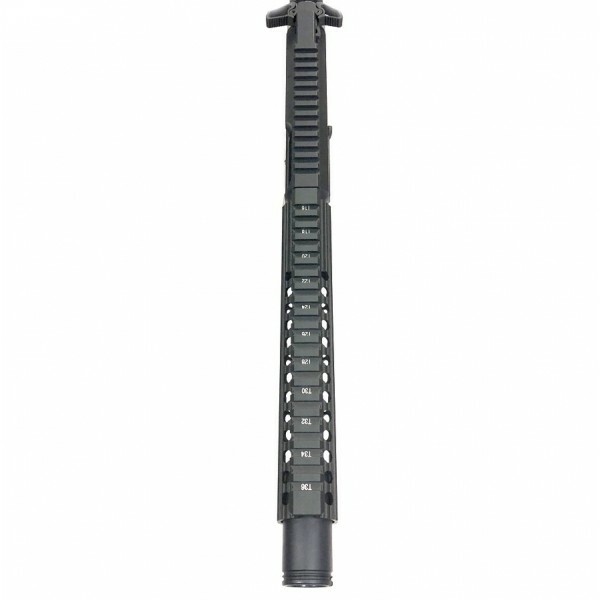 HANDGUARDS - FREE FLOATING 9" LENGTH SLIM KEYMOD RAIL. MADE FROM AIRCRAFT QUALITY ALUMINUM AND BLACK HARDCOAT ANODIZED. PLEASE NOTE: THE KIT COMES UNASSEMBLED. ADDITIONAL OPTIONS AND MODIFICATIONS AVAILABLE ON TOP OF PAGE.